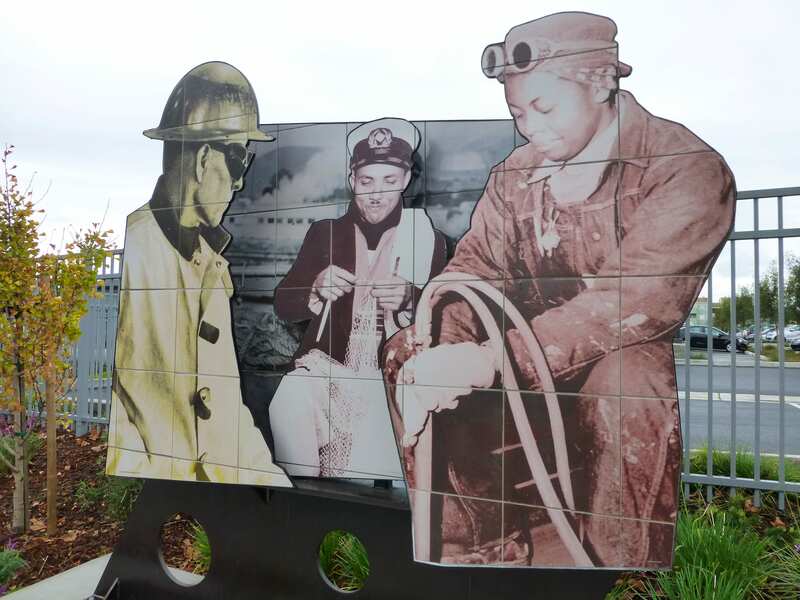 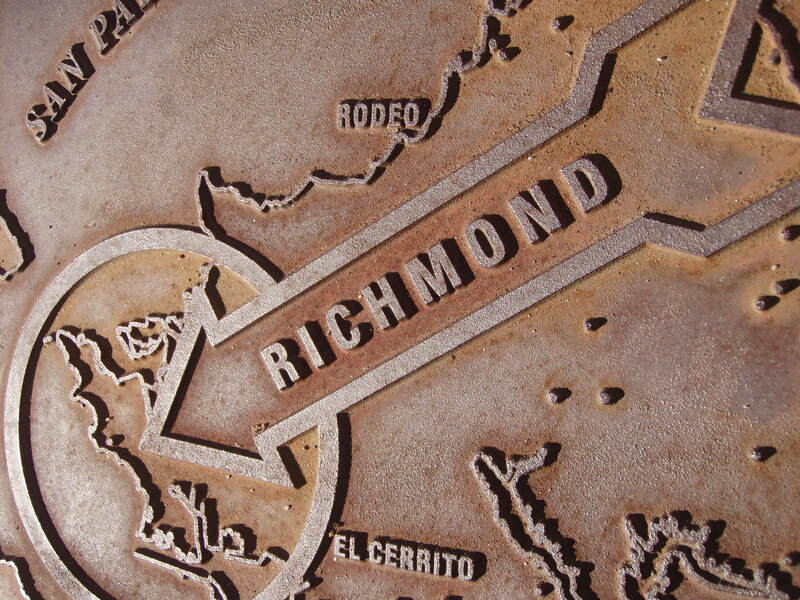 Downtown Richmond is home to a rich heritage and an abundance of public artworks. 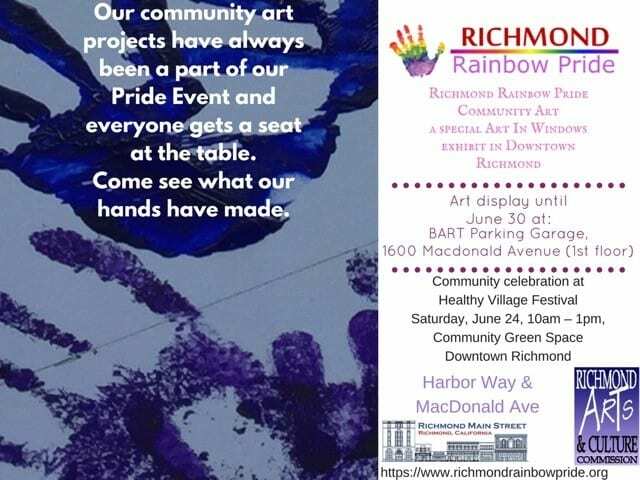 Richmond Main Street partners with local artists, the City of Richmond Arts and Culture Commission, and others to promote the arts in Downtown through our Art In Windows program and special events. 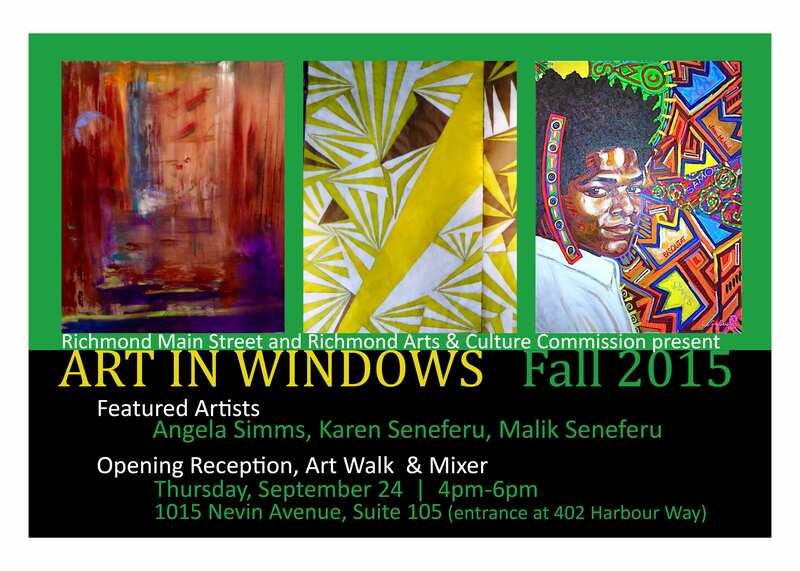 Art In Windows brings together artists, merchants, property owners, residents, City departments, and community organizations to transform Downtown storefronts into living, breathing art spaces that celebrate the rich legacy and history of Richmond, and to explore the relationship between art and community development. 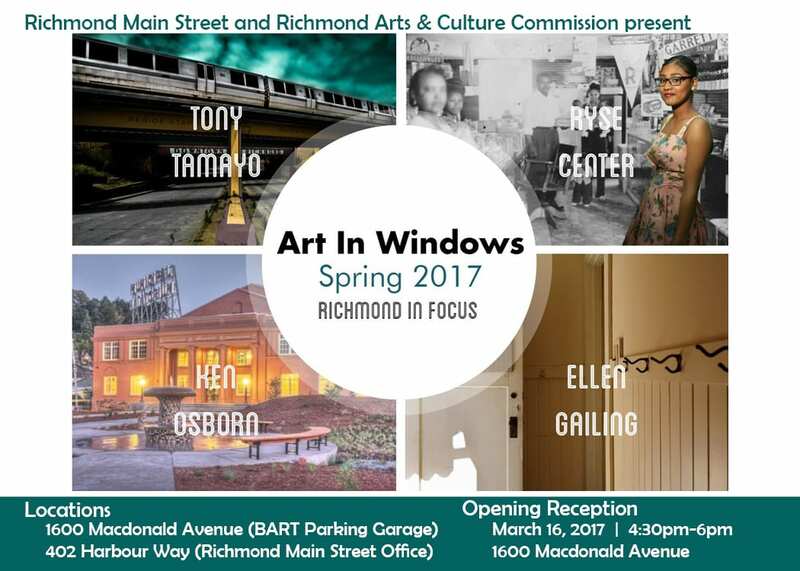 Receptions for Art In Windows exhibitions invite residents from all over the Bay area to visit Downtown Richmond and discover its rich arts heritage, which continues into the present. 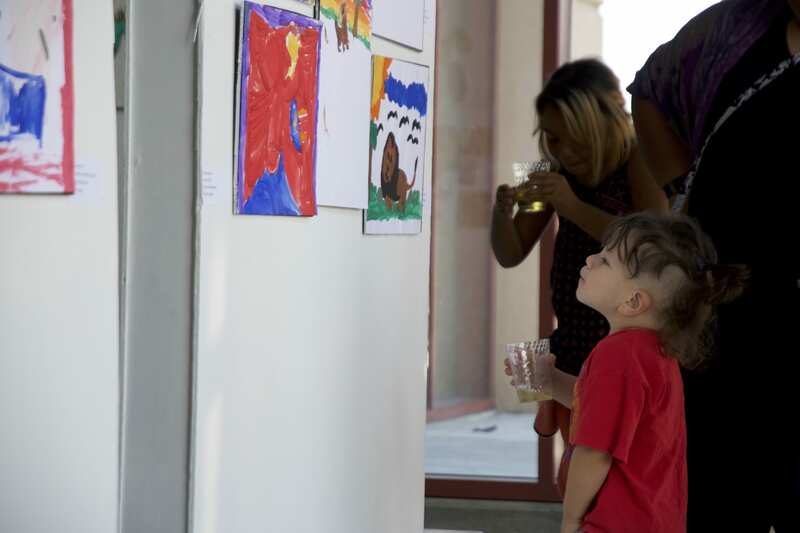 In addition to bringing people together to enjoy the Art In Windows displays, all receptions also feature a Downtown art walk that highlights the many pieces of public art on view throughout the district and to demonstrate the positive changes occurring in the neighborhood. 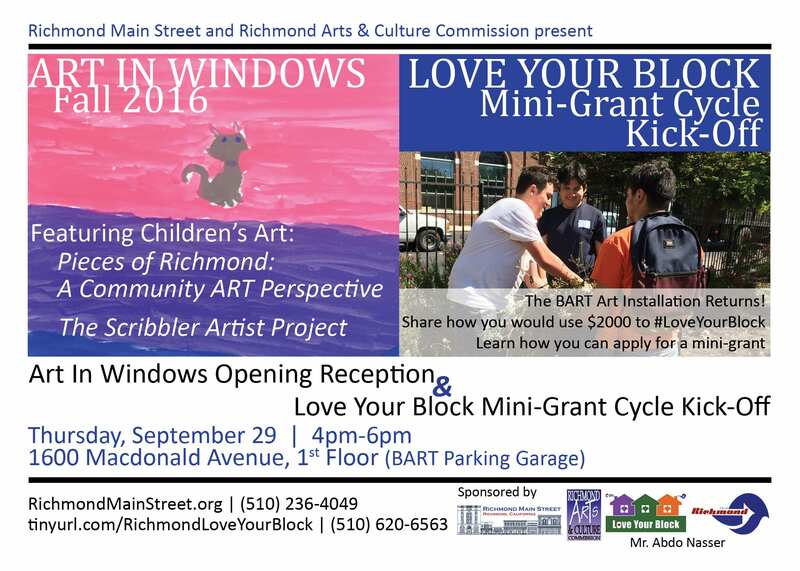 Art In Windows is made possible through a partnership between Richmond Main Street Initiative and the Richmond Arts & Culture Commission, with support from Downtown merchants and property owners. 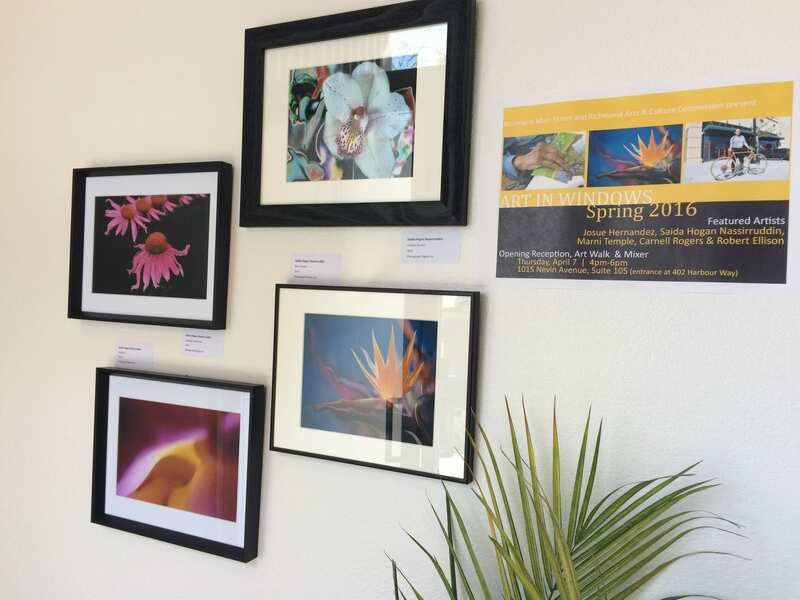 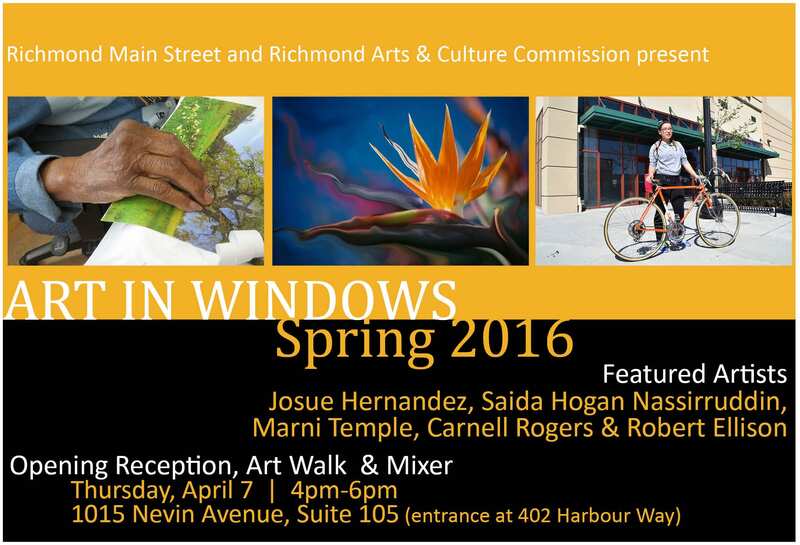 Click here for more information about Art In Windows and how to submit a proposal. 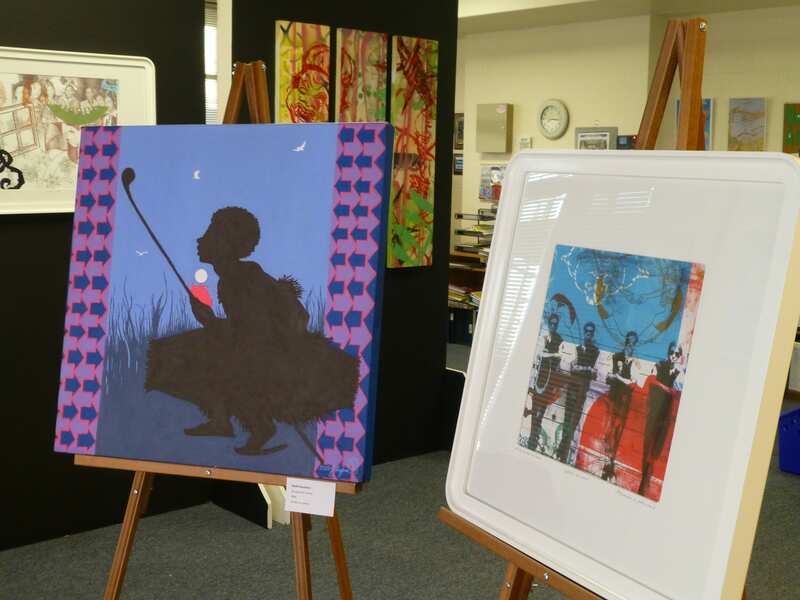 Our 2019 Art In Windows program, titled Art Through Transition, explores the intersection of social justice and community development through art. 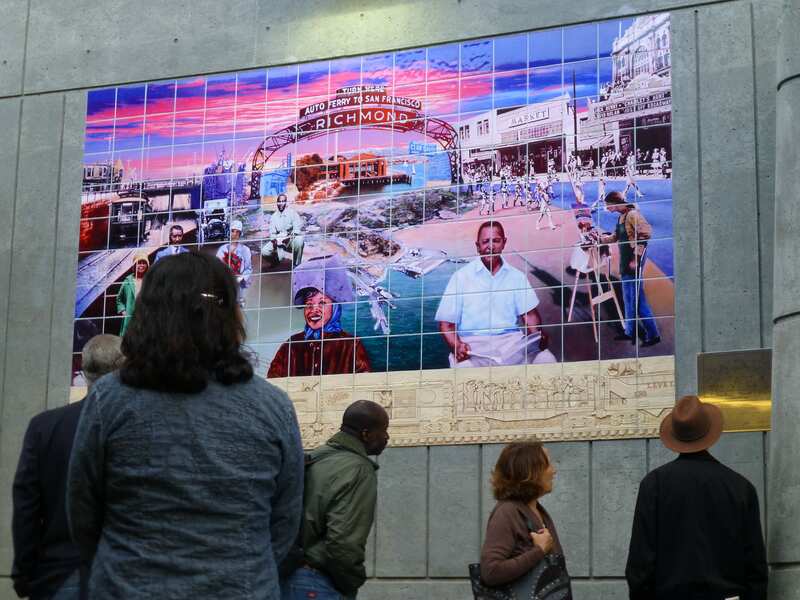 Three exhibitions are planned – each at a different Downtown location and accompanied by a reception, artist panel discussion, and Downtown art walk. 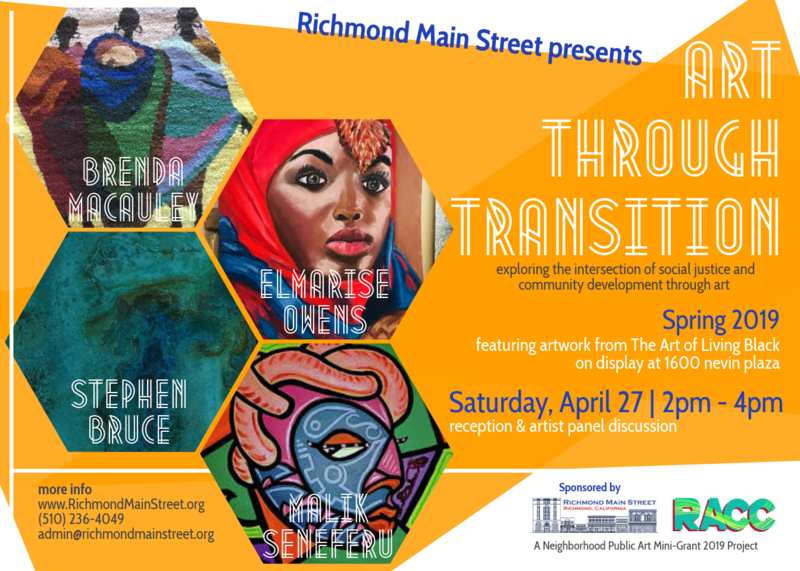 Generous support from Art Through Transition is provided by the Richmond Arts & Culture Commissions and the Neighborhood Public Art Mini-Grant program. 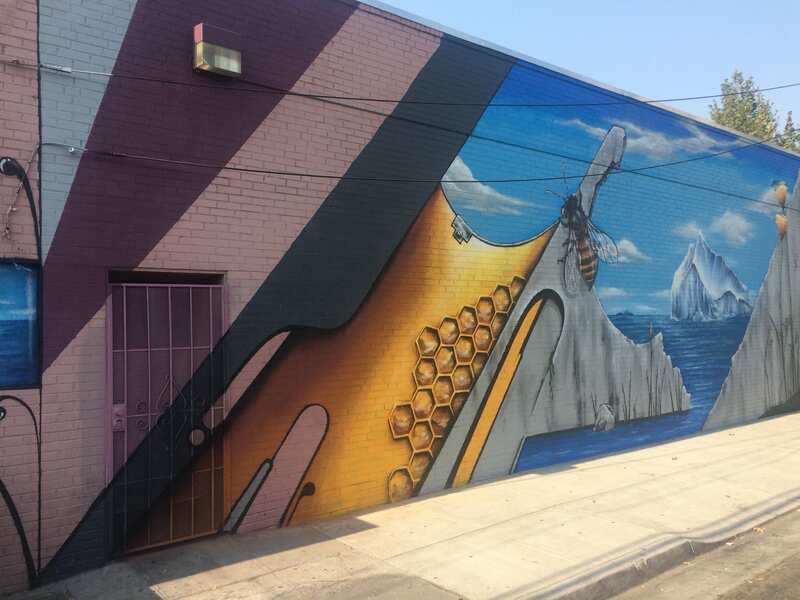 Want to participate as an artist or partner in some way? 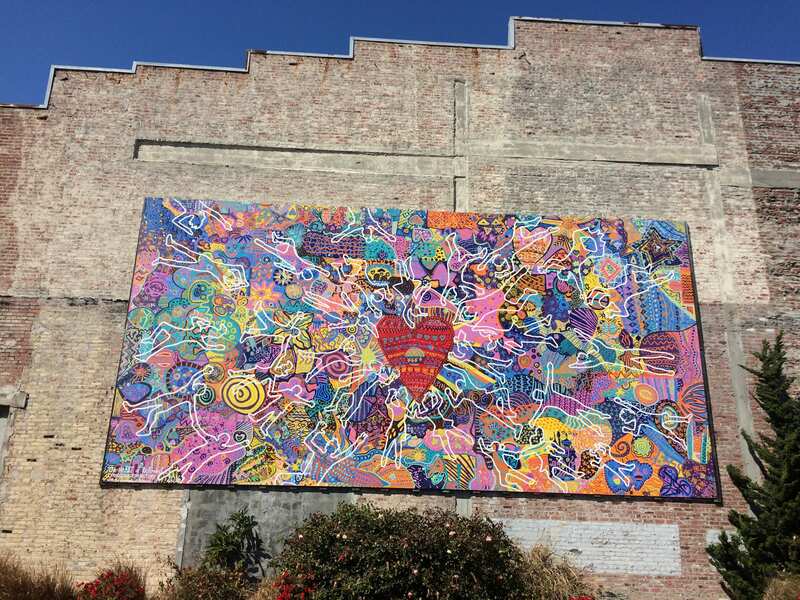 Downtown Richmond is bursting with great public art displays. 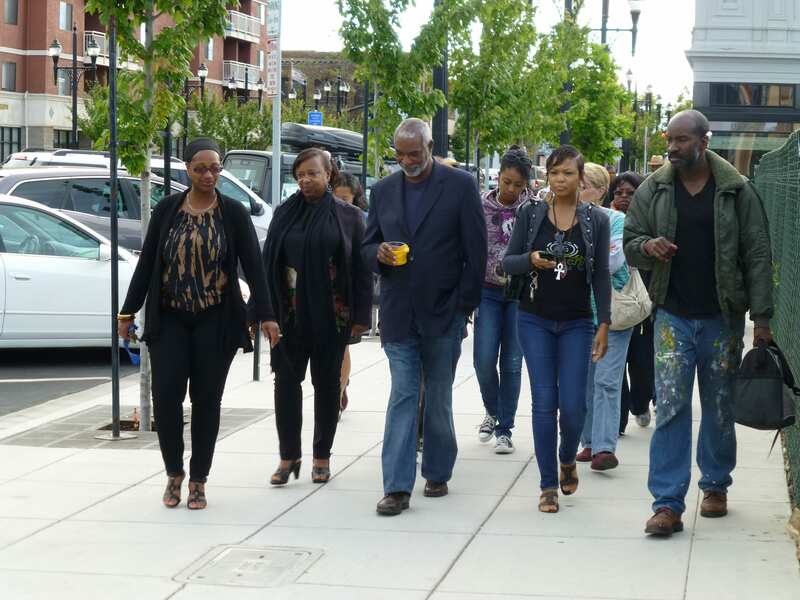 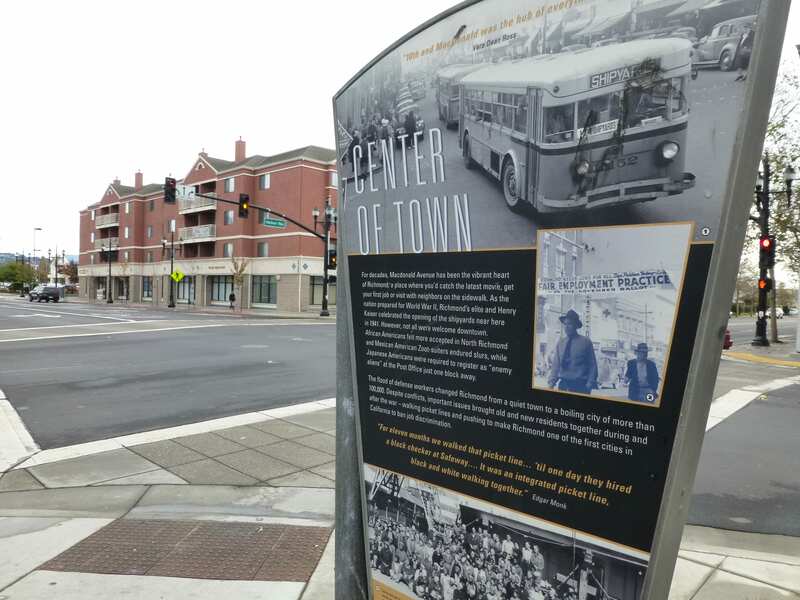 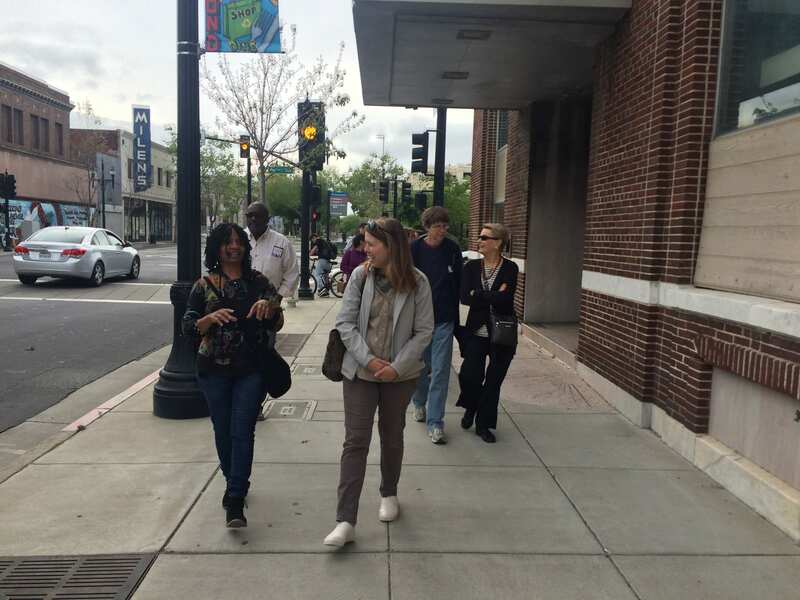 We’ve put together a virtual art walk slideshow and a self-guided art walk map so residents and visitors alike can explore Downtown and discover all the great art in the district. 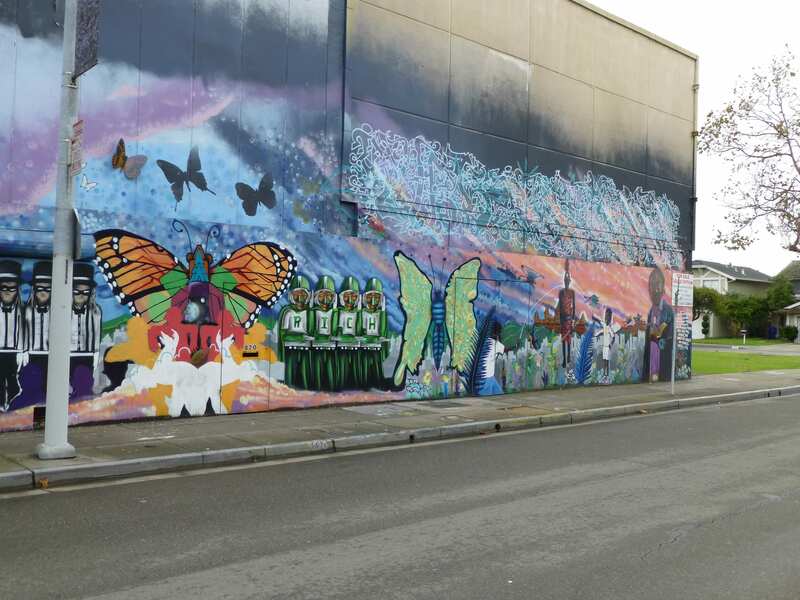 New pieces are created frequently and there are many more than we could fit on the map. 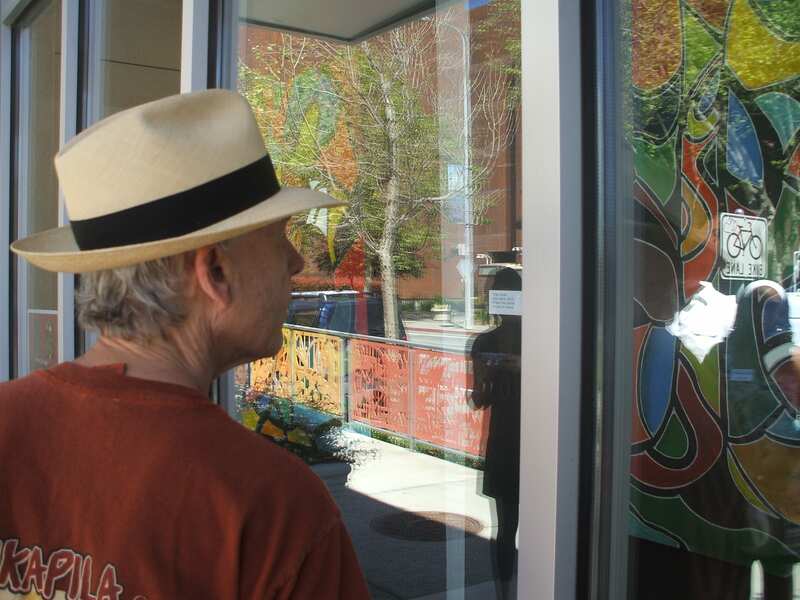 We welcome you to come Downtown to check discover Downtown Arts.